Sometimes when you're out shooting on location, or in between projects, you won’t have time to head back to your studio or set up a laptop to edit photographs. 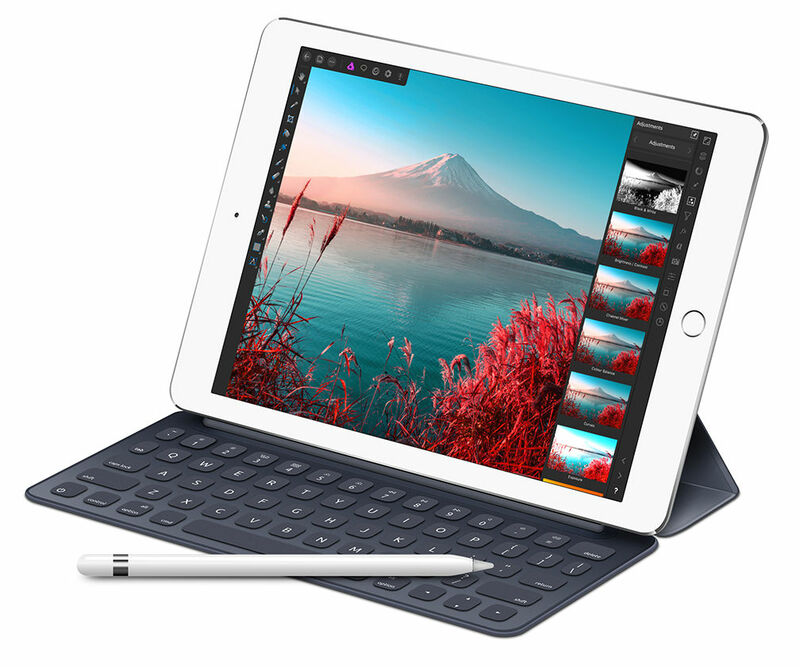 And luckily you don’t need to with the capabilities of professional photo editing software for your iPad which make the life of a photographer that much easier. However in a world awash with all types of photo editing apps – from free basic apps like VSCO and Instagram, to professional ones like Affinity Photo that cost – it takes time to find one that works best for you. We’ve created a list of the most popular and reliable photo editing apps for professionals. These apps offer the capability to work with large files, customising brushes and a range of advanced effects. Whether you need to carry out basic lighting adjustments and corrections, or you want to create more stylised photography artwork, we’ve got you covered. And the best part is that most of the apps sync with your desktop apps, so you can save and continue working when you’re back at the desk. Some of the apps are free like Adobe Photoshop Express and Google Snapseed, some are free but have paid features without a Creative Cloud account like Adobe Photoshop Lightroom, and others can be bought as a one-off purchase such as Affinity Photo and the less expensive options of Pixelmator and Enlight. 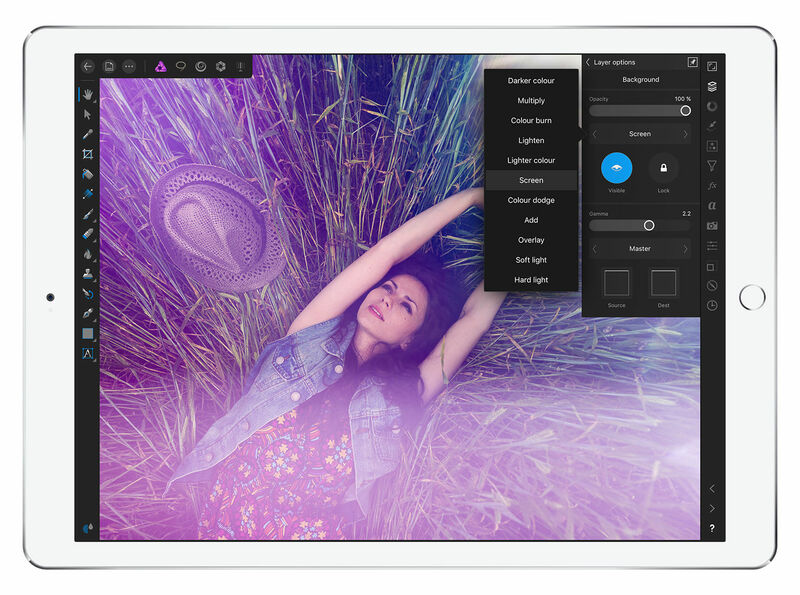 Affinity Photo is one of the best truly professional photo editing tools available for iPad. With the app you can open, edit and save Photoshop PSD files and choose from a huge library of painting and drawing brushes. It even includes 360-degree image support and panorama stitching with corrections and lighting adjustments. But because of the apps extensive capabilities, this one isn’t free. To install the app onto your iPad Pro, iPad air 2 and iPad (older iPads are not supported) it’ll cost you US$19.99 / £15.50. But it’s money well invested. 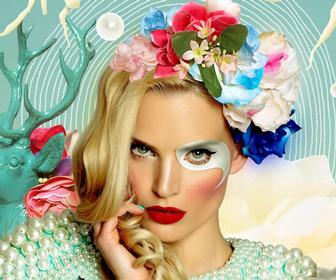 Affinity Photo offers full support for unlimited layers, layer groups filter layers and masks, resizing layers, editing live filters, effects, blend modes and masks without destroying your image – as well as professional image processing. This includes uploading raw images, adjusting corrections such as exposure and highlights, recovering details by editing in an unbounded linear colour space, advanced lens correction, Focus Merge, HDR Merge and Tone mapping, and of course, a massive selection of effects. In terms of brushes, you can choose from a huge library including paint, mixer, pixel, sharpen and undo brushes, or create your own custom brushes. You can work with all standard formats across multiple platforms, such as iOS, macOS and Windows. Affinity has designed the app to work efficiently even with large images, and made it sensitive to pressure, tilt and angle so you can use your Apple Pencil too, not to mention full iCloud integration. Download Affinity Photo from the iTunes App Store. Adobe Lightroom for iPad / Mobile is a free app that can be used for your phone or tablet, and probably one of the best apps available for photo and video editing. 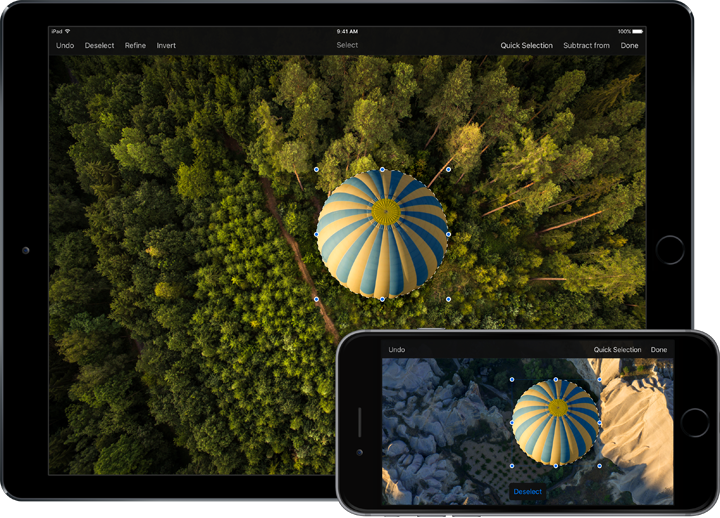 But because it’s an Adobe feature, if you’re not a Creative Cloud member you will have to pay for some of the most helpful features within the app, so we suggest this app is best used if you’re already a member or if you sign up to a free trial. Basically Lightroom acts as an all-in-one service – you can take a photograph, process and edit it with raw HDR capabilities. Depending on your photography skill set, you can choose from advanced adjustments and corrections to local adjustments, which lets you apply exposure, brightness, clarity and others (this is a paid feature). You can choose to take your own photos (DNG file format) with the in-app camera using five formulated presets which can be applied at capture and then adjusted afterwards, or import, edit and sync raw photos from your own camera across all of your devices (if you have Lightroom on your Mac for example) – however the latter is a paid feature if you’re not a Creative Cloud member. From there you can edit photographs as you please and share the photos across all major social media platforms. To learn how to use Lightroom Mobile to capture and edit photos to a professional standard when on location, see our step-by-step tutorial with Tigz Rice. 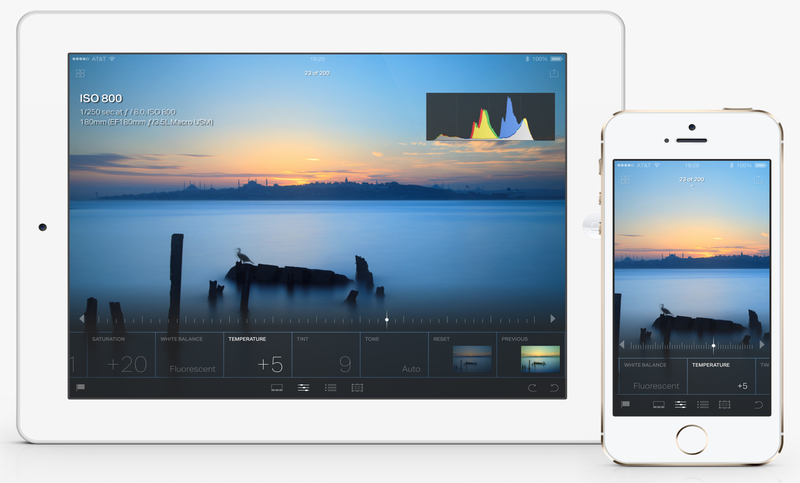 Download Adobe Photoshop Lightroom for iPad from the iTunes App Store. We spotted Plotagraph after the app was used by the Grammys on their Instagram account. The cinemagraph free app adds subtle animation to your photos or GIFs, making them stand out against other static images on newsfeeds. By using Plotagraph, you can add extra depth by creating a looping motion on whatever subject or object you choose. It’s best if you see for yourself, for example, here is Bruno Mars’ shimmering jacket. But Plotagraph has also been used by travel influencers on Instagram too. For more details, check out our full story. Download Plotagraph from the iTunes App Store. 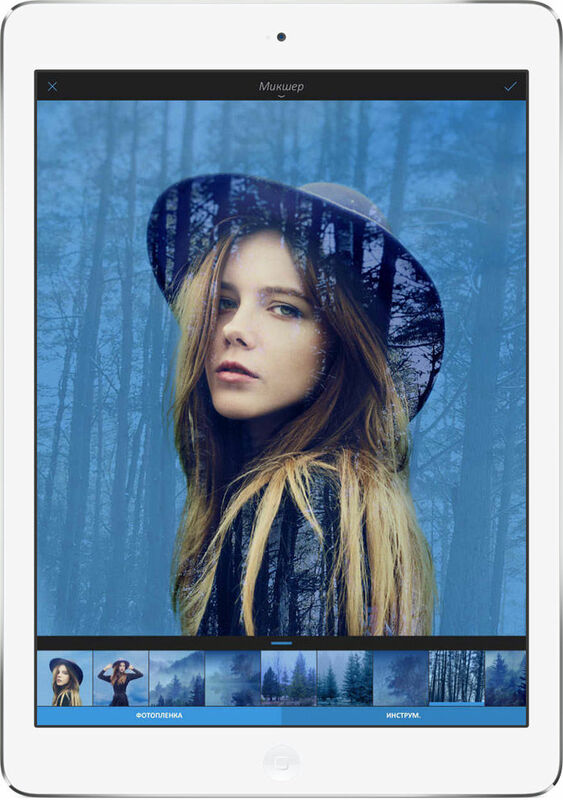 Another free app by Adobe, Photoshop Express is specifically designed with both your iPhone and iPad in mind. It aims to be a fast and easy editing tool for when you’re on the go. Many people use Photoshop Express to touch up photos taken on either iPhone or iPad, and to create professional looking collages. The free app is great for when you need basic photo editing tools that offer something a little more professional than the likes of VSCO and Instagram, such as cropping, auto-fix, blemish removal, adding corrections such as contrast and exposure and using filters. You can import and edit photos in raw formats, create watermark images and share easily to Facebook, Twitter, Instagram and WhatsApp. In the most recent Photoshop Express update, new aspect ratios have been added for Facebook, YouTube and Pinterest, which are helpful to freelancers or anyone who needs to update their social media profiles. 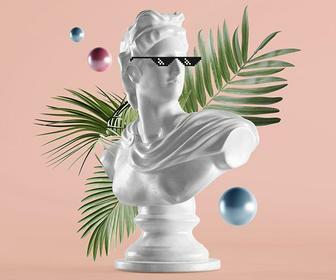 The new aspect ratios include Facebook Page Cover, Facebook Event Cover, Facebook Ad, Twitter Header, YouTube Thumbnail, YouTube Channel Art and more. Along similar lines to Photoshop Express, Adobe offers free apps Photoshop Mix (for cutting out and combining elements from different images) and Photoshop Fix (editing facial features). Download Adobe Photoshop Express from the iTunes App Store. 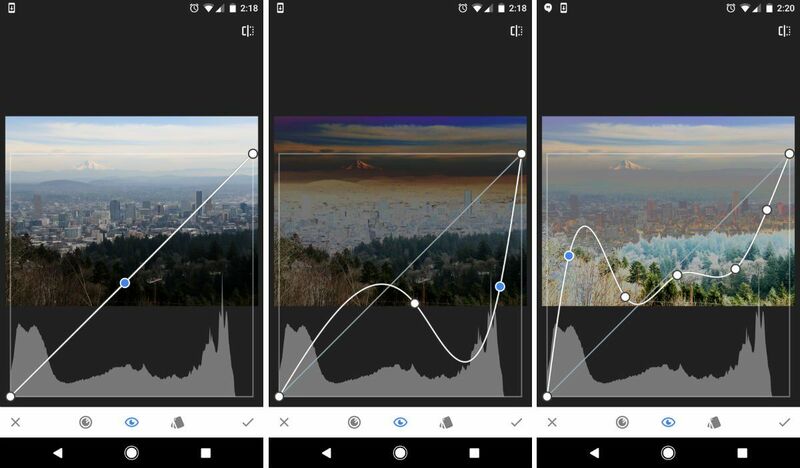 Moving away from entirely creative software based names like Adobe and Affinity, Google's professional photo editing offering is its free product dubbed Snapseed. 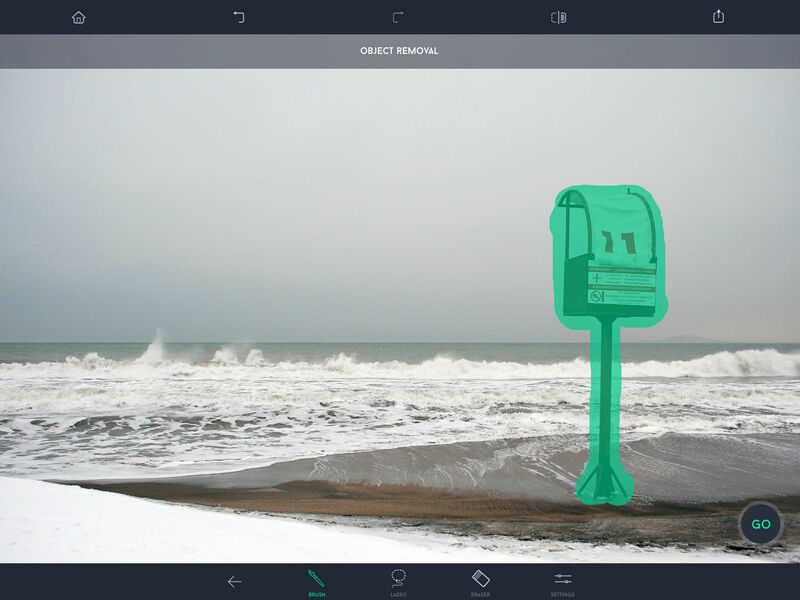 Snapseed, designed for iPad and iPhone, offers all the basic tools and filters whilst using JPEG and raw files, and even a few helpful tips about how the app works and general photography. With Snapseed, open and modify native camera files and save and export as JPEGs. Also adjust exposure and colour manually or automatically, crop, rotate, transform and play around with filters, frames, brushes, white balance, text and tones. Snapseed essentially offers all the basics of photo editing on-the-go, with a few more advanced brushes, selective and removal tools and retouching features to give your image that added perfection with an overall minimalist and easy-to-navigate user interface. Download Google Snapseed from the iTunes App Store. We’ve covered Pixelmator for sketching and painting on your iPad, but it also offers a reasonable service for layer-based image editing. Although it might not have five-star reviews, at an affordable price of £4.99, Pixelmator is great for someone who may not have time to correct images manually. Photo editing using Pixelmator includes improving your photos with single-tap colour correction presets, and pre-designed templates. You can also choose from a tonal range, repair tool for smoothing over skin, and a number of effects. However, bear in mind that Pixelmator only lets you open and edit images up to 100 megapixels, so maybe it's best to work with your iPhone or iPad images within this app. Like most other apps in this list, you can pick up on your Mac where you left off on your tablet or phone too, to make for easy workflow. Download Pixelmator from the iTunes App Store. PicsArt Photo Studio is a free photo editor and collage maker primarily, but it has an awesome drawing tool and it’s just released a new brushes feature which can add a simple fantastical and surreal touch to your photography when used well. PicsArt Brushes gives access to more than four million free stickers, 15 different neon colours, a dotted and pattern brush and simple colour brush, which you can ‘brush’ into your photos with one swipe. You can apply a range of effects, and although some are very unattractive, there are some subtle effects too if this feature is used well. Download PicsArt free from the iTunes App Store. Although this app isn't your traditional photo editing software, TouchRetouch is perfect for solving one specific problem – removing that unwanted object from your photo. For a mere £1.99, TouchRetouch will enable you to remove powerlines, surface breaks and scratches, photo bombers, skin blemishes, and human-made objects like street signs – basically, it’ll let you remove whatever you wish from your photo. There are in-app video tutorials for guidelines on how exactly to get rid of these objects. 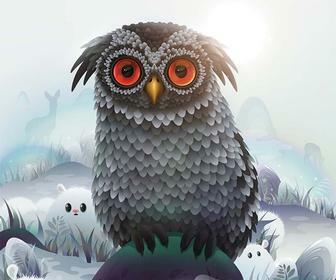 The app is produced by ADVA Soft, the developer of Handy Photo and Anti Crop. Download TouchRetouch from the iTunes App Store. Recrop (formerly AntiCrop) is another simple but effective app for iOS by ADVA Soft that handily lets you expand images (based on the content in the image, so it works best with uniform backgrounds such as sky, beach and grass), crop or straighten images, flip and rotate all from your phone, so you can make sure the composition is just right before you share. For only US$1.99, it basically gives you a second chance to reframe your photos after you’ve taken them, and the UI design makes it pretty easy to use. If you’re struggling though, there are some video tutorials in the app. See how you can use Recrop in the video below. Download Recrop from the iTunes App Store. Enlight is an easy-to-use app that lets you create your own beautiful, stylised photo art with iPad Pro. Enlight won the Apple Design Award this year (and the App of the Year in 2015) for its fusion of basic photo editing functions and beauty. The app allows you to create graphic designs with your photographs and artistic features, such as superimposing your images and using double exposure. With Enlight you have selective control over tone and colour. It has built-in masking within every tool so you can blend effects. Use two-toned gradients and produce monochromatic photos with the app's black and white photo conversion. As well as editing the photo itself, Enlight users can create painterly effects and convert an image into street art or sketches, overlay two photos to produce a double exposure effect, and other blending modes. If you haven’t finished editing, you can save what you’ve done and pick it up later. At £3.99, it’s not going to break your bank account. Download Enlight from the iTunes App Store.